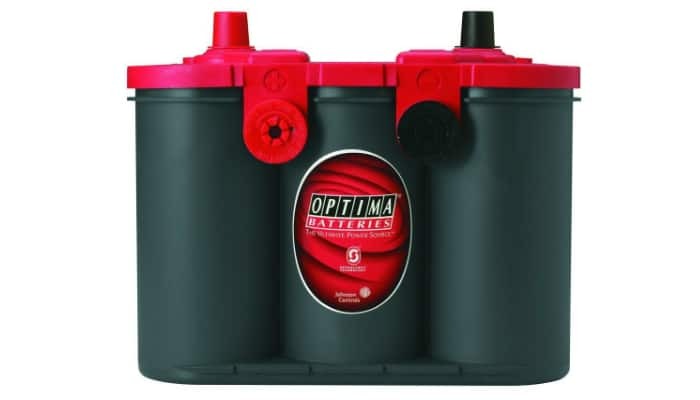 Optima 8004-003 34/78 RedTop Car Starting Battery has a reserve 100-minute capacity for continuous performance. It can still unleash its maximum power for starting car engines even if the weather gets freezing cold. It can resist vibration 15 times more than most car batteries to remain durable for a long time. 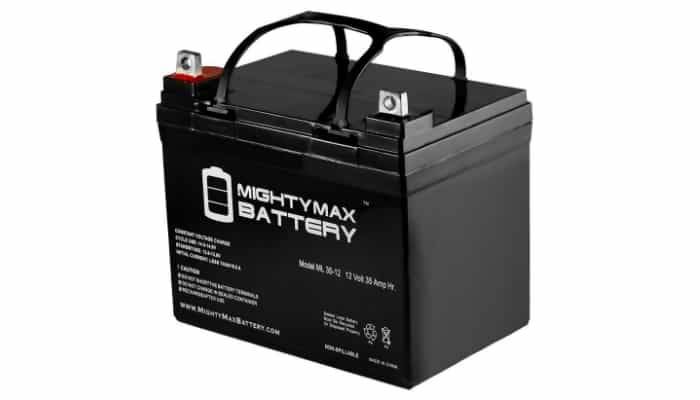 Mighty Max Battery ML35-12 Deep Cycle Solar Car Battery does not spill and can recover easily from deep discharge. It aces longevity, adaptation to changing temperatures, and high rate of discharge for complex motors. It can be installed in different positions. Aside from vibration, it can also resist shocks. 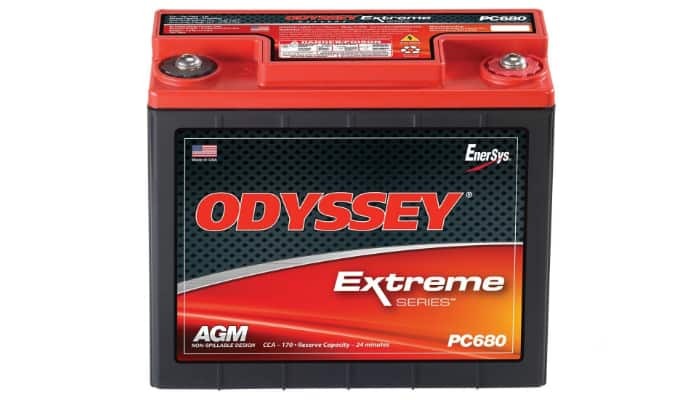 Odyssey PC680 Car Battery has 70% longer cycle life when compared to most deep cycle batteries, especially older models. Even with just 80% of discharge depth, it can already have 400 cycles. It can also recharge really fast. For only four to six hours, it is fully charged again. Its voltage is consistently high even for several years of use. ACDelco 94RAGM Professional Automotive Battery has a high-density negative paste for enhanced performance and more battery life. Its improved silver- and calcium-stamped alloy enhance cycle life and overall performance. The calcium-lead positive grid improves conductivity and lets low resistance happen. With a backing that is resistant to puncture, the Robust Envelope Separator increases circulation of acid to maintain coolness and longevity. It also prevents the possibility of shorts. To avoid leakage of acid, this car battery has a vent cap design. 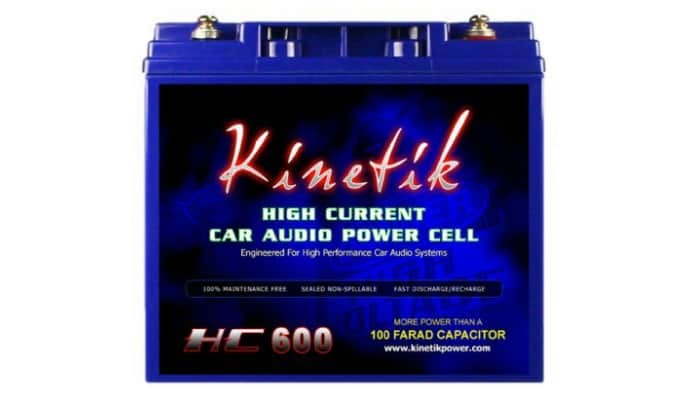 Kinetik HC600 BLU Series High Current Car Battery can be utilized as an alternative for your standard automotive battery. It can also be an extra battery so you can operate your audio system. It is best for car stereo systems with 600 watts of power. This car battery has a very low ESR with additional plates to strengthen energy density even more. It can resist intense heat. Its cells are tightly packed for increased voltage. There are several types of car batteries. But, we are going to focus on two common types that are in contrast with one another for an easier perspective. The two basic types of car batteries based on modern versus traditional are absorbed glass mat (AGM), and lead-acid or regular. 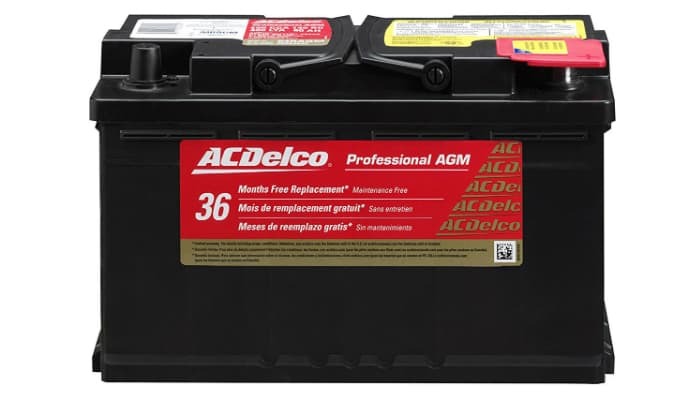 AGM is the newer version of a lead-acid battery. It is made for better tolerance to recharging and repeated draining. It became popular due to its innovative features like the power supply for small gadgets, electronic convenience and safety, and systems for saving fuel. AGM car battery is also perfect for people who do not use their cars too much. The reason is that it can handle deep discharge and easily recover after it is fully drained. The downside? AGM car batteries are much more expensive. Lead-acid car batteries are called “regular” for a reason. They are more common than AGMs. They are also closer to traditional automotive batteries in the past because they follow the basics and focus on the main purpose – starting the engine. These car batteries are so affordable. They are best for people who frequently use their cars. 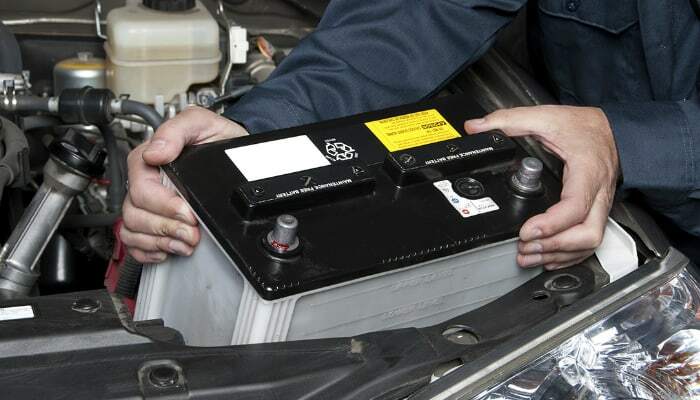 The tricky part in identifying the best car battery for your vehicle is knowing the right fit. Car batteries actually have a lot of sizes to choose from. The size also determines if the battery can provide enough power for your car. Another factor related to size is the position of the terminals. If you purchase a car battery with the wrong placing of terminals, the battery will probably not reach the cables of your vehicle. To know the right fit for your car, you can check the owner’s manual or an in-store guide. The first example of car battery size we are going to discuss is Size 65-Top Terminal. It is made for sport-utility vehicles, trucks, and big cars. Next, Size 75-Side Terminal is best for some Chrysler vehicles, and General Motors compact and medium-sized cars. Another one is the Size 24/24F-Top Terminal for Toyota, Nissan, Lexus, Infiniti, Honda and Acura vehicles. Meanwhile, Size 34/78-Dual Terminal is perfect for medium-sized and big sedans, SUVs, General Motors 1996-2000 pickups, and big Chrysler vehicles. The next five sizes are Size 35-Top Terminal, Size 51R-Top Terminal, Size 47-H5-Top Terminal, Size 48-H6-Top Terminal, and Size 49-H8-Top Terminal. For Toyota, Nissan, Subaru and latest Honda vehicles, Size 35 is the right choice. On the other hand, Size 51R is for Nissan, Mazda and Honda vehicles. Size 47 fits Volkswagen, Fiat, Chevy and Buick cars. Size 48 goes best with Volvo, Volkswagen, Mini, Mercedes, Jeep, GMC, Chevy, Cadillac, Buick, BMW, and Audi. Lastly, Size 49 is for Hyundai, Mercedes, BMW and Audi cars. Remember that we do not refer to all models under each brand. We just based on the general standard or the majority. Some cars of one brand may need a different battery size. Some people may be okay with car batteries that do not have handles. But for others, it can be a deal-breaker if the battery does not have one. Handles for car batteries usually have durable plastic as the material. Batteries can weigh up to 60 pounds, so a handle can be really useful for carrying. Another purpose of handles is to lower the battery successfully inside the tray, especially in crowded engine compartments. The car battery is one of the basic components of a vehicle. A car will never move as long as nothing triggers the engine. That’s why we need to take care of our car batteries through proper maintenance since we are surely going to use them for a long time. Being stranded in the middle of nowhere just because of a drained car battery is scary and enraging at the same time. One way to maintain an automotive battery is by using a car battery tester. With regular checkup, you will definitely know if something is up with your car battery before it is too late.